In our latest package from the Little Tiger Press we received a canvas bag and a copy of I Spy in the Sea, a lovely lift-the-flap book by Joanne Partis. 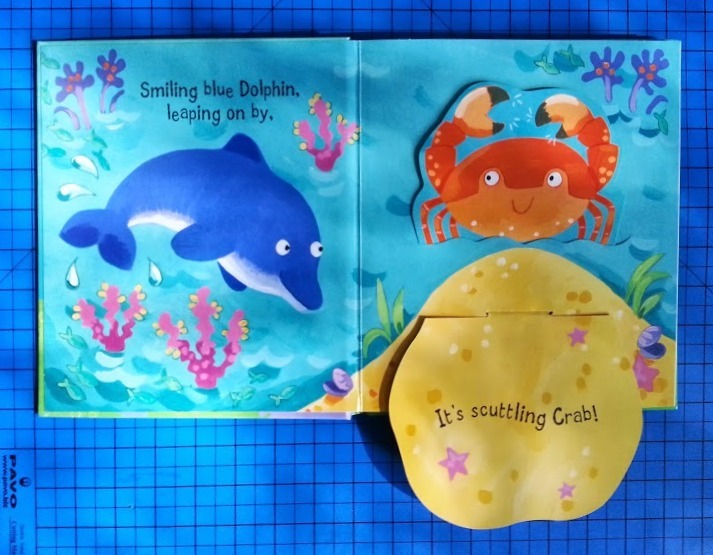 The book is written in rhyming couplets and introduces several interesting words (such as scuttling and rippling) and lots of different sea creatures. 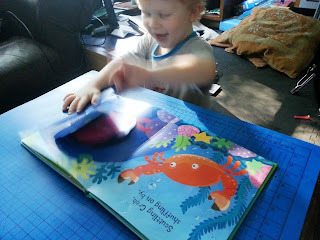 This hardback book is smaller than A4, so it is much easier and lighter for my 3 year old to hold than a lot of books. 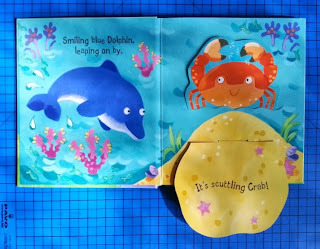 It has 12 very brightly coloured pages, and each pair has a really large flap that is very cleverly made so that when it is lifted the creature below pops out of their hidey-hole. My boys really like this book, especially my 3 year old who has read it to himself many times of the past few days. 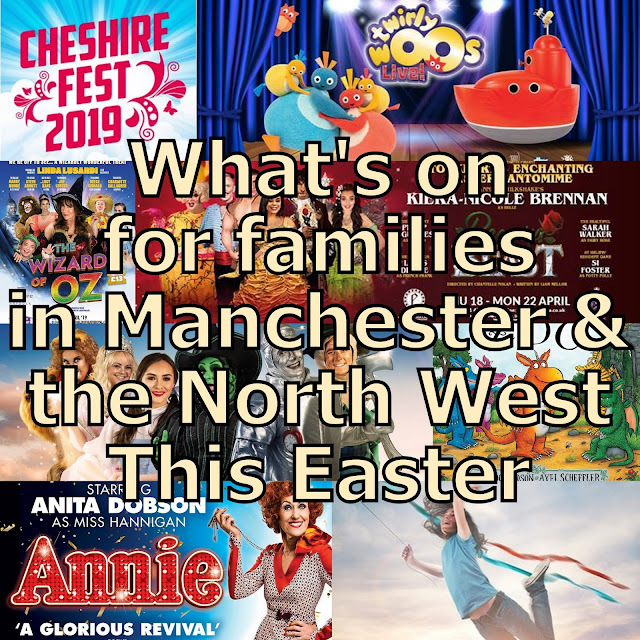 I love that it introduces so many new words, yet they are very easy to get to grips with, so the book is accessible to young children while still expanding their vocabulary. 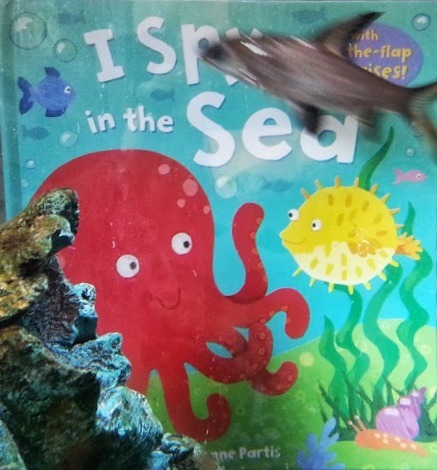 I Spy in the Sea has a recommended age range of 3+, but I think a younger child would still love it - although you'd have to be careful that it didn't get damaged. 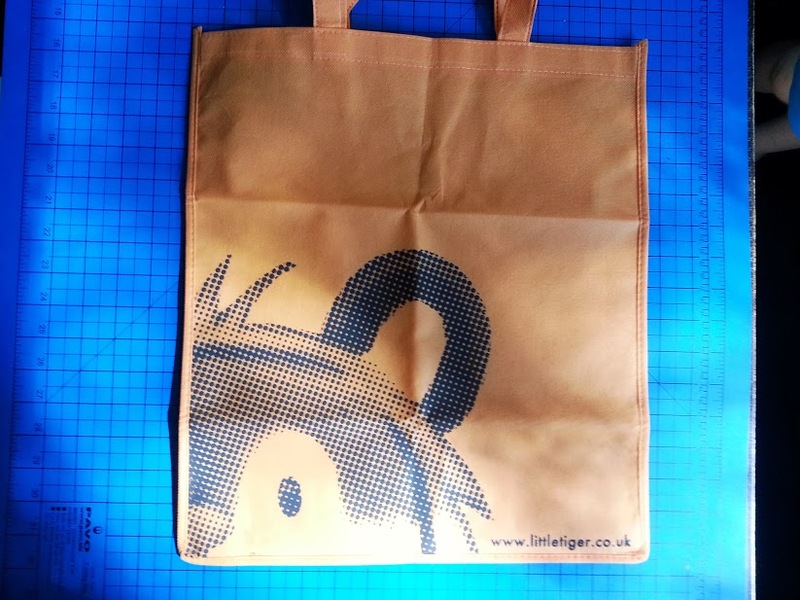 We were also sent a really attractive canvas shopping bag, with a lovely image of the Little Tiger Press logo. 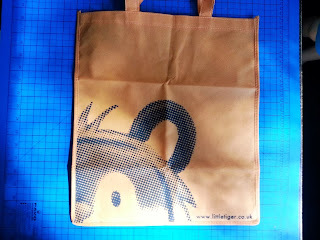 Definitely nicer than most of the supermarket reusable bags, and something I love! 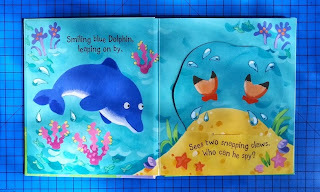 Flap books are always great! They make reading more fun! Kids will love it. Oh I love it! I'll be adding this to my 5 year old's Christmas list. That looks like good fun, my two like these kind of peek a boo, flap books! That's a lovely looking book, Bud is slightly obsessed by fish at the moment so he'd love it. 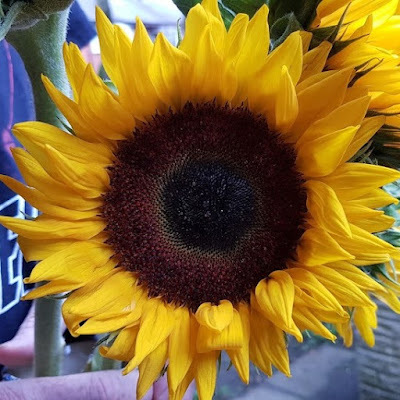 The shopping bag is so sweet too.